If you answered yes to one or more of these questions, you may be one of the millions of people who suffer from seasonal affective disorder (SAD). Picking up this book is the first step toward feeling more energized, productive, and alive--all year long. Dr. Norman E. Rosenthal's engaging, compassionate style and rich store of scientific wisdom have made this trusted guide a perennial bestseller. Dr. Rosenthal explains how to evaluate your own level of seasonality, get the most out of light boxes and other effective self-help options, and make informed decisions about antidepressants and psychotherapy. The thoroughly updated fourth edition features a new chapter on different meditation practices and their benefits. 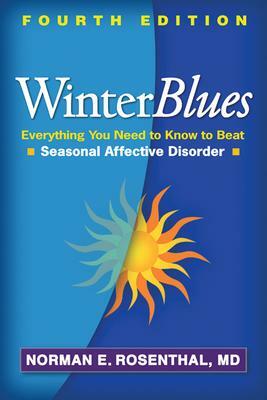 Packed with information and insights, this is a tried-and-true survival kit for weathering the winter blues. See also Dr. Rosenthal's Winter Blues Survival Guide, a step-by-step workbook that helps you craft a customized SAD treatment plan. Norman E. Rosenthal, MD, is internationally recognized for his pioneering contributions to understanding SAD and using light therapy to treat it. He is Clinical Professor of Psychiatry at Georgetown Medical School, a therapist in private practice, and the author of six other books, including Winter Blues Survival Guide, the New York Times bestseller Transcendence: Healing and Transformation Through Transcendental Meditation, and The Gift of Adversity. Dr. Rosenthal conducted research at the National Institute of Mental Health for over 20 years and is a highly cited researcher.